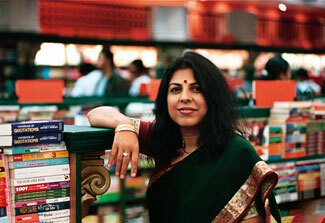 The Maid Servant’s Story is a part of a compilation of short stories called Arranged Marriage, by Chitra Banerjee Divakaruni, the author of The Mistress of Spices. This story is a typical example of meta-narrative. The maternal aunt exemplifies her disapproval of the colour orange for the bridal outfit of her niece by relating an unfortunate tale about a family which hires a maid servant who supposedly wrought devastation on the family. The title, in my opinion, should imply the content of the short story. But the title of this story is misleading in a way that it seems to suggest a story narrated by the maid servant rather than a story about the maid servant. Moreover, it is unclear till the end as to why and how a maid servant could impact so tremendously on the mistress so as to bring about the drastic change in the latter’s personality. 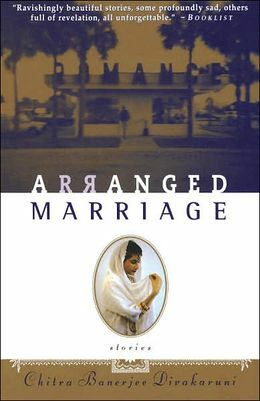 There are four women characters and one male character in the story, each of whom are given equal importance so much so that it becomes difficult to decide as to who is the main protagonist – the indifferent and morose mother, the sophisticated, America-returned Manisha, the intrusive but concerned observer, Deepa mashi (aunty) or the dark, sensual, intelligent maid servant. Another conspicuous fact about the story is that the narrator and niece, Manisha, is unable to convey the crux of the story with clarity. The wife’s recognition of the infidelity of the husband which might have led her to develop a cold attitude, the companionship between the wife and the maid servant and their sudden separation, the niece’s realisation of her family background and the consequent detachment of her mother from her – any of these issues can be said to be the core aspect of the story. On the whole, the story was very verbose, vague and unnecessarily melodramatic in certain places. However, the other short stories in the same book are not as unclear as this one. Keep a lookout for the review of The Palace of Illusions, a phenomenal rendition of the Mahabharata, from Draupadi’s point of view. This entry was posted in Book Review, Culture, India, Indian Culture, Life, Literature, Social Values and Norms on May 3, 2013 by missionsharingknowledge.